Company Mileage - How Are Mileage Rates Determined? 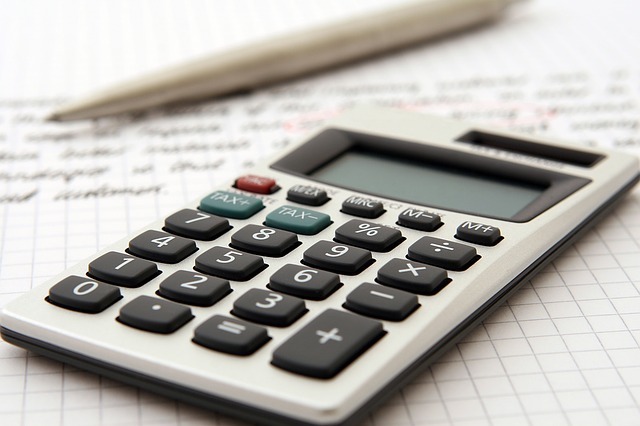 How Are Mileage Rates Calculated? Each year, the IRS announces its standard mileage rates and each year we are left to wonder how the agency arrived at the numbers. “The standard mileage rate for business is based on an annual study of the fixed and variable costs of operating an automobile,” the Internal Revenue Service said in its most recent annual pronouncement, which reduced the standard rate for business miles driven from 57.5 cents to 54 cents. An IRS notice released with the announcement adds only that the annual study is conducted by an independent contractor. The problem, according to critics, with an annual, national rate is that it is annual and national. It relies on cost information from the previous year and does not account for variations in cost around the country. Ever bought gas in New York? How about Hawaii? One organization critical of the system has noted that after gas prices fell by 40% in 2014, the IRS rate for 2015 actually increased by a penny and a half. They asked: How can this be? A CompanyMileage analysis of what it really costs to drive a car found that the impact of gas prices is less than those critics might imagine. That analysis was based on the estimated gas mileage and maintenance costs of three Chevrolet vehicles: an economy model, a mid-size sedan and a sport-utility vehicle. It found that fuel accounted for 30 percent of the overall cost. Insurance accounted for 12 percent; licenses, registration and taxes for 7 percent; and tires and maintenance 3 percent each. 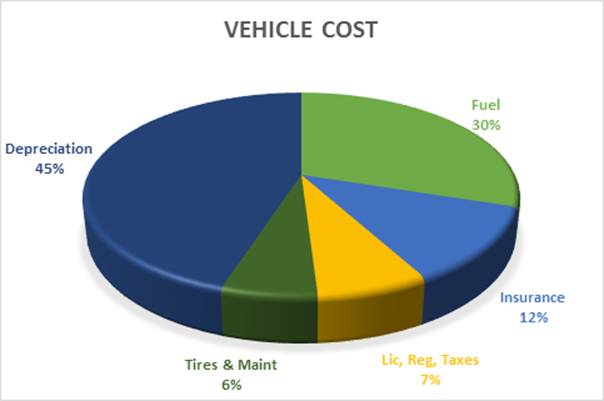 The biggest factor in our vehicle cost analysis was the 45 percent of the overall cost represented by depreciation. That’s not surprising when you consider that an employee who drives a personal vehicle for work for three years might put another 30,000 or 40,000 miles on that vehicle. Reimbursing employees for miles driven for work has traditionally been based on a system that gives the employee no visibility and the employer no certainty. The employer merely drives around, records the mileage and submits claims based on those odometer readings. But this does nothing to help the employee get smarter about how they’re putting miles on – and reducing the value of – their vehicle. Employers have no way of knowing if the information is truthful. SureMileage by CompanyMileage is an accurate and secure system for the management of mileage reimbursement. Rather than attempting to verify miles driven, SureMileage calculates the expenses to be reimbursed. 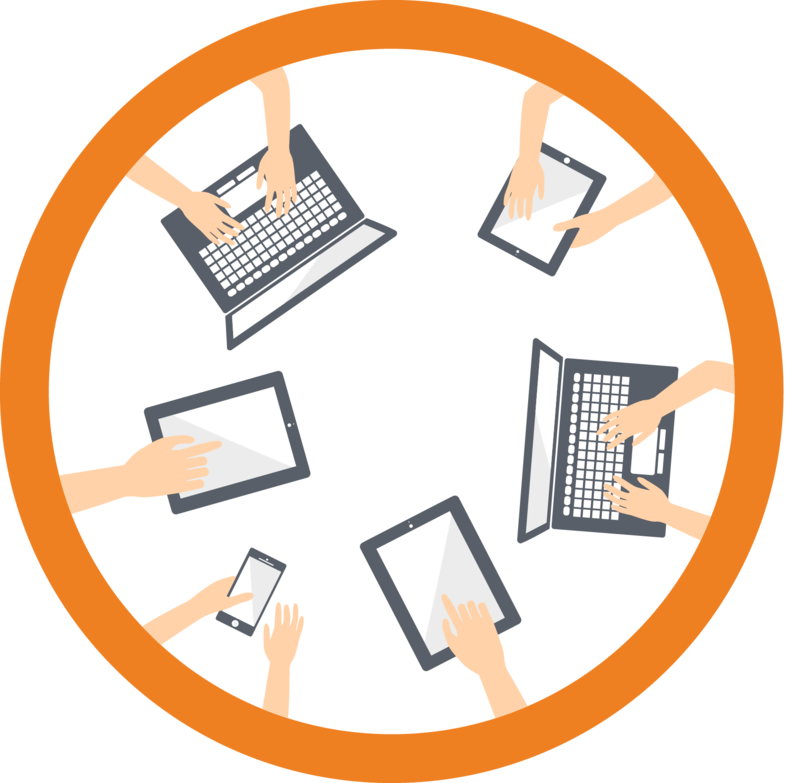 Employees report their starting point and destination and the system calculates the driving distance between them. Automated mileage tracking virtually eliminates the inaccuracies common in traditional odometer readings. Point-to-point reimbursement also eliminates side trips and other IRS-disallowed travel from the reimbursement equation. The IRS standard mileage rate and the vehicle costs that comprise it serve as reminders of the value of information. That information has the power to save money for employers, of course, but also for those employees who can now put fewer miles on prized personal vehicles.